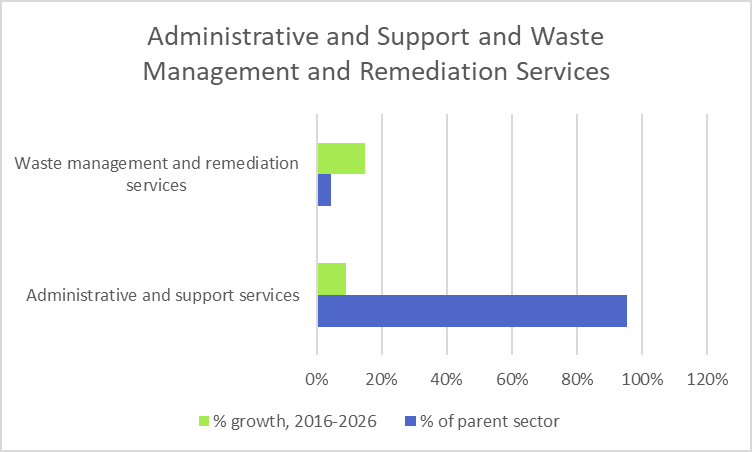 The Administrative and Support and Waste management and Remediation Services sector is part of the Professional and Business Services supersector. 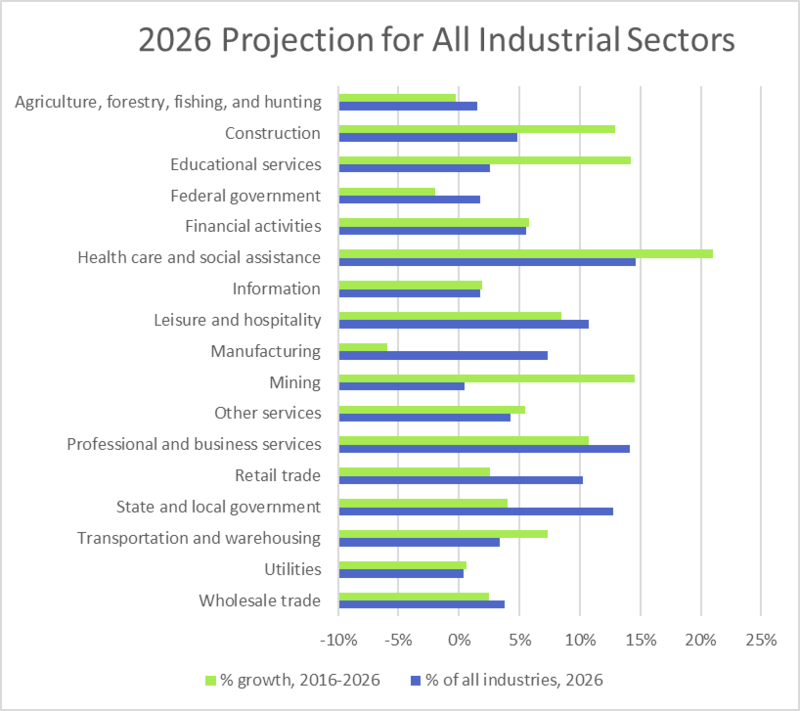 The following table shows the top 10 projected occupations, in growth, for this sector through 2026. It also shows the educational requirements and OJT requirements for these top-growth occupations. At OJT.com, we connect you with the best on-the-job training programs and on-the-job training providers. Whether you are looking for job training manuals, job training videos, on the job training programs, or any other sort of job training programs, OJT.com can help you.